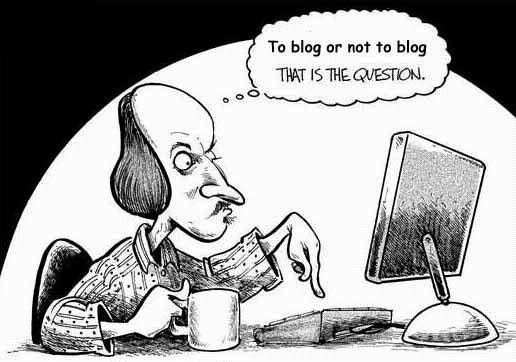 In the last few days, I have got several requests from different people, asking me to suggest them how they should start blogging and give them some tips on blogging. On one hand, it makes me feel proud to think that my blogs are encouraging others to become a blogger, but at the same time, it increases my responsibility towards my readers. These questions actually did force me to put on my thinking cap and ponder over the real secrets of being a good blogger. Is blogging really an art? For me, blogging is as simple as writing your journal. You just need to put your thoughts into words. Know your readers. I am sure while making a blog post, most of us have a target audience in mind. Understanding the reader's perspective is important. Just as a speaker needs to strike the right strings in his or her audience, a writer also needs to do the same. Keep your blog simple. There is not much need to put in too many flowery or high technical words (unless there is an absolute need or requirement for it). A simple blog is easier to read and understand. If you have a very techy blog post, you can always add a few screen casts or screen-shots here and there. If you are writing a blog on your travel experience etc, adding a few pictures is always fun and interesting. I do not hold more experience than this about blogging....so someone seeking an answer to this question can search a little more for available stuff on the internet. Also, it would be great if some of my readers can leave their views on this topic as a comment on this post. Author and Owner: Priyanka Nag. Powered by Blogger.